Baked beef with Perilla leaf - "Bò nướng lá tía tô" is always snack taste great. The implementation is very easy. But, how do it so good here? 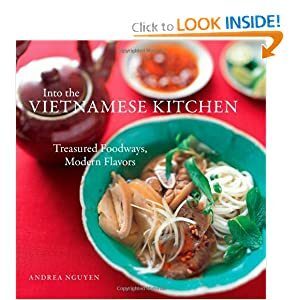 3 soup spoons of cooking oil, tomato sauce wedges or sweet sauce, fresh herbs, rice paper. - Mix the minced beef with lemongrass, garlic, chopped, seeds seasoning, sugar, pepper, incense and a contingent of the soup spoon of oil. 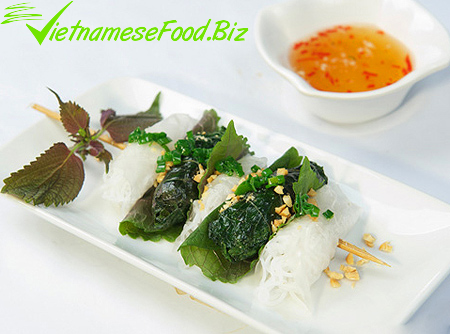 - Add beef in perilla leaves, hard roll, use skewer and skew this roll . - Grilling beef rolls on charcoal fire. - cut well-kneaded onion, To place in a bowl. Boiling oil, pour into a cup to make "mỡ hành". - Golden Roasted Peanuts, retired borders. Vegetables picked clean, dry scales. - To place beef perilla leaf into a disk, Spilling "mỡ hành" on this, rolling paper rice and vegetables. Add noodles if you like. Using fish sauce for with this dish. - Add beef in perilla leaves, Rolling with hard hands. - Grilled beef rolls cooked on charcoal fire will be better. What a great perfect its look delicious i will make them soon. Thank you very much.